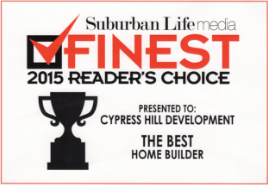 Cypress Hill Development designs and builds quality custom homes in and around the Naperville area. With 15 years of experience in the custom home building industry, they bring the detailed expertise that every home owner is determined to find of when looking for their custom home builder. Using a personalized approach, Cypress Hill Development will be with you, keeping you informed every step of the way. Our hard working and detailed approach ensures your home building experience will be well-managed, cost-effective, and a positive experience for you and your family. We will make sure that your new custom home in Naperville is designed and built living up to our high standards. To speak with one of Cypress Hill Development’s qualified representatives, please call 630-241-9330 now or fill out the form to the right. Cypress Hill Development has an experienced team of architects, subcontractors, suppliers, and other trusted partners that will guide you through your custom home building process in Naperville. We are proud to say that Cypress Hill Development is a custom home builder that designs and builds their new homes using eco-smart products and materials as much as possible. Along with building green, using high efficiency equipment like heating and cooling systems along with high-performance insulation, installing windows and doors designed to maintain the indoor temperature, and using Energy Star rated appliances, can lead to significant savings for the home owner. Cypress Hill Development also prides itself on being a custom home builder that uses recycled or synthetic materials that are eco-friendly manufactured having a smaller footprint on the environment. Contact Cypress Hill Development in Naperville now at 630-241-9330 and get started designing your new custom home today. Take a look at Our Homes Portfolio and learn more About Our Story and you’ll become confident that Cypress Hill Development is your best choice for a Qualified Custom Home Builder in Downers Grove and the Western Suburbs of Chicago. Also please read our glowing Testimonials from many of our highly satisfied custom home clients for whom we’ve built new custom homes. 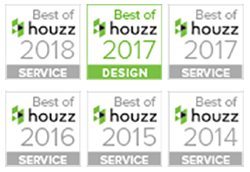 As a Downers Grove based custom home builder and general contractor, Cypress Hill Development proudly serves the DuPage County area of the Western Suburbs of Chicago including the communities of Downers Grove, Hinsdale, Oak Brook, Clarendon Hills, Glen Ellyn, Elmhurst, Western Springs, La Grange and Naperville.